If you have been involved in an auto vehicle accident in Alberta, you may be entitled to significant financial compensation for your losses. This includes an amount for general damages for pain and suffering, inconvenience and loss of amenities of life, as well as all other losses which flow from the motor vehicle collision such as wage loss, past and future, loss of housekeeping capacity, treatment costs for the future, and other heads of damages. We will protect your rights. The auto insurance company adjuster will be friendly and seem helpful, however, the adjuster’s role is to serve the auto insurance company – not you. The insurance adjuster does not have a duty to protect your interests. In fact, the insurance adjuster is trying to minimize paying you anything in order to please his employer and maximize the private insurance company profits. This is completely at odds with your interests. Our firm will act for you and protect your rights and look out for your interests and your interests alone. It is our duty as your lawyer – your interests come first. To establish an injury claim in Alberta the first step is to show that you are the innocent driver. In other words, if the other driver is at fault, you can then bring a claim for compensation against the insurance company for the driver at fault. Also, if you are a passenger you may bring a claim against the other vehicle who was at fault, or the driver of your own vehicle if the driver of the vehicle you were in was at fault. 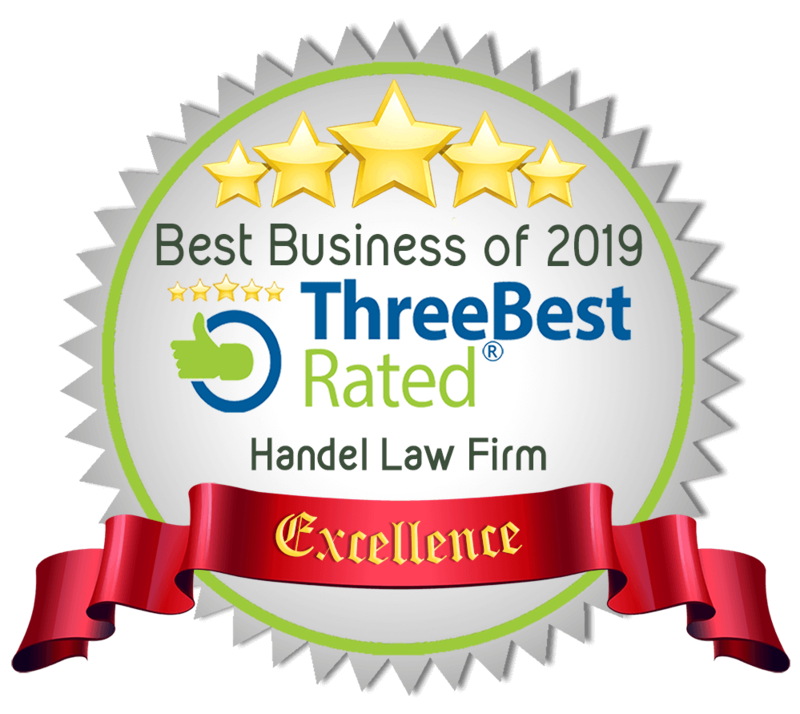 At Handel Law Firm, we work on a contingency fee basis which means we are not paid unless we are successful in obtaining compensation for you (thus the word contingent), and secondly, we do not get paid until the settlement is completed and paid by the auto insurance company. As well we cover any out of pocket expenses or disbursements for medical doctor’s charts and reports, accident reconstruction engineer reports, etc. 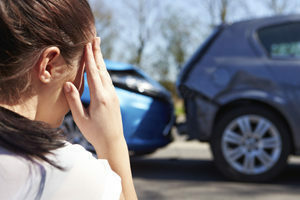 Although you may never have expected that you would have to talk to an injury lawyer, the fact is in Alberta last year, 18,745 people were injured in motor vehicle collisions from 144,740 collisions. The most dangerous day of the week to be driving is Friday with an average of 24,239 collisions. The least dangerous day to be driving is Sunday with 15,460 collisions. The most dangerous month of the year to be driving in Alberta is the month of October which is only slightly ahead of September and November. Strangely the very cold snow and ice months of January and February are less dangerous than September, October and November. At Handel Law Firm we will bring a claim against the driver who is at fault. The most common driver errors or negligence in Alberta for injury collisions is “follow to closely” which is twice as high as the second most common driver negligence error which is “ran off the road”. The third most common negligence which leads to a personal injury claim is a left turn across the path of an oncoming vehicle. If you have been involved in an injury collision involving a left-hand turn vehicle across your path, you should contact us immediately as it is extremely important to contact the witnesses to identify the colour of the light at the time. Typically, the person who made the left-hand turn will claim that he or she was simply clearing the intersection and had the right to proceed. You will no doubt will say the light was still green for you to proceed and you were also clearing the intersection! Therefore it comes down to credibility and thus independent witnesses of what exactly happened is extremely important. In order to preserve these witnesses, contact Handel Law Firm at 780-462-2812 as soon as possible or email the “Get a Free Consultation” form as soon as possible. Auto Insurance Coverage- What is it For? If you have been injured in a motor vehicle collision suffering serious injuries such as a spinal cord injury, brain injury, pelvic fracture, multiple bone fractures, or other serious injuries, contact our firm for a free consultation to discuss your legal options. The reason we all carry Third Party Liability Insurance on our motor vehicles is so that if we mess up or are negligent in our driving the injuries we cause to innocent parties will be compensated by our auto insurance company. Therefore, if you are an innocent victim you have the right to obtain compensation from the negligent driver’s auto insurance policy.